This is a job guaranteed program. This course offers a thorough knowledge of App Development by the completion of the course. The stock options for each team member will range between $202,000 and $313,000”. 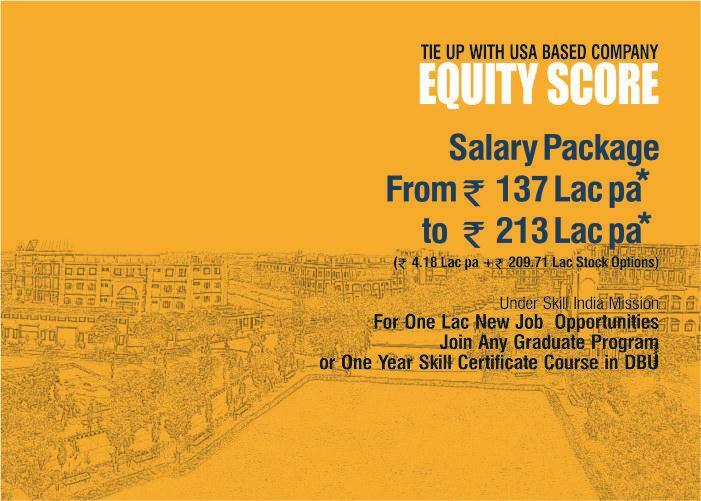 You will be absorbed in the research unit to be established by our USA counterpart EQUITY SCORE in UTAH, Which is in the western part of USA with its capital salt lake city and DBU. 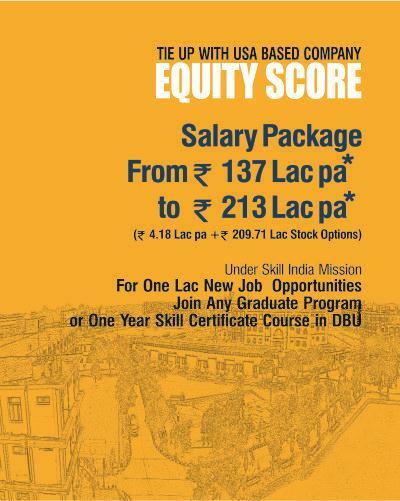 The certificate provided by DBU is not only valid by Equity Score but also in the other organizations too, anywhere in the world. Certificate is issued only on the basis of your performance. The monthly income of the student will start anywhere between USD 330 and USD 530. Training provided by industry professionals. Well designed syllabus to meet the latest demands/changes in the technology. Practical Classes on live projects to expose students to real time challenges. Access to changes in technology and course upgrades whenever needed. The scholarship subsidized examination presently is 2000/- , the scholarship will be available subject to approval of the committee from time to time. Eligibility: Graduate or Pursuing Graduation in any Discipline. Diploma holders can also apply.